Nowadays the company “Lutsk Carton” is dynamically developing one. Our object is assisting in the developing of a client’s business due to a providing with qualitative products and services. For achieving the goal we have everything required: modern technologies, work experience, qualified personnel and high service standard. We strive for perfecting our professional status and optimizing inner process. 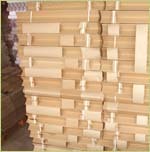 We do not simply produce a packing, we help a client to solve all arising problems and tasks. We value our customers and try to find an individual approach for everybody. Cooperation with “Lutsk Carton” company guarantees maximum conveniences for clientele. Business transactions philosophy lies in an open and inter-advantageous cooperation with clientage. Well-engineered container can make a profit both for a producer and a purchaser. 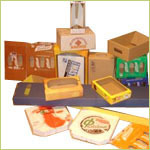 Our company offers a packing of any size and configuration with marking the flexographic printing or without it. Combining qualitative raw material with modern equipment, automatic production and decreasing in influence area of human element on producing process allows achieving high product-quality index. 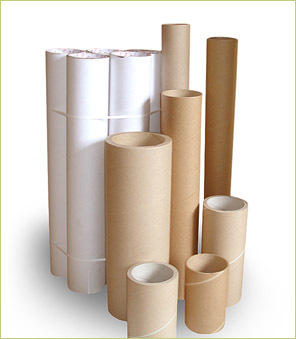 Nowadays we suggest carton reel cores, paper reel cores, fax-paper reel cores, thread reel cores, foil reel cores, yarn reel cores, cloth reel cores, linoleum reel cores, cores for reeling labels, polyethylene, scotch and other coiled material. The production of our company is ecologically clean and is liable to recycling. This allows using it in food industry that is for pre-packaging potato chip, tea, salt, soda, spicery and others. This allows using it in food retail industry, in particular for packing of potato chips, tea, salt, soda, spicery and others. 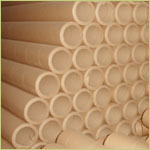 Deformation of production, edges and corners damages, scratches or complete elimination, dents from compression by a polypropylene ribbon, unsteady transport packages – here is far not complete list of problems which occur before the producing companies during a transportation of the products to the user. 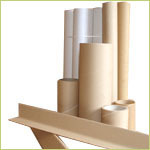 All these and a lot of other problems are being solved owing to the availability of protective cardboard angles in the products packing system. Our experts will help you to develop the optimum packing variant of your products with the purpose of its defence from damages and saving it during freight works and transportation. 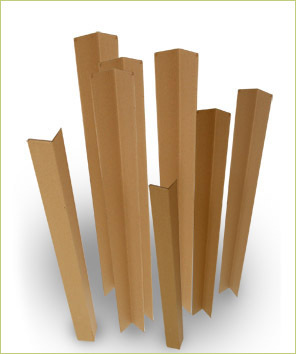 Pay attention to the basic problems and ways of their solution by cardboard angles. Especially these problems arise before those enterprises which transport the products to the countries of Europe, since the products packing demands and its exportation rose. Cardboard angles application in packing the products is working out all the packing problems!